One of the things I love about being a Mum of two little ones is that every year I get to throw two very over-the-top birthday parties. My girls look forward to their celebrations for months and this year was a really special event for my three-year-old as I enlisted the help of Scissors. Paper. Cake. to put the party together. They launched almost a year ago and whenever I saw images from one of their parties, I knew I wanted their help with one of my mine. Although I enjoy staying up late at night to create invitations, source the perfect favours, find the matching tableware, cupcake holders and everything else on the party table, let’s face it, this is a very time-consuming process. And if you are someone like me, it can become very obsessive and take over the good part of a month to plan and put together. If you want the most stylish party imaginable but don’t have the skills, time or patience to organise it yourself, then look no further than Scissors. Paper. Cake! We featured them a while back when they started their business. 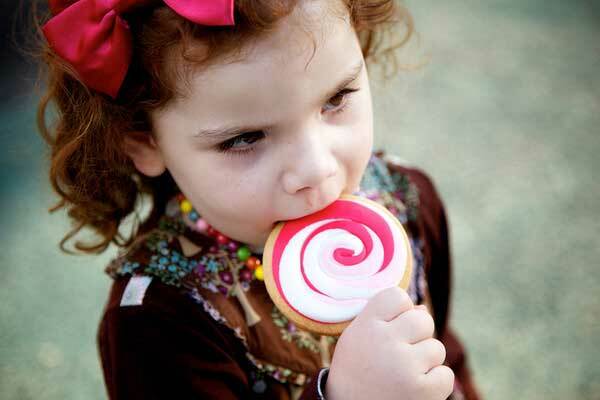 I decided on a Candyland theme and it was a dream-come-true party for kids and adults. I’ve included lots of images from the party so you can see the full gorgeous effect of just what’s involved. The huge lollypop cookies and freshly squeezed pink lemonade in individual glass bottles with pink striped floating straws were the highlights for me. Other sweets included a gorgeous Dutch chocolate mud cake, raspberry and coconut cupcakes, sugar cookies, chocolate box petite fours, honey popcorn and mixed lollies. 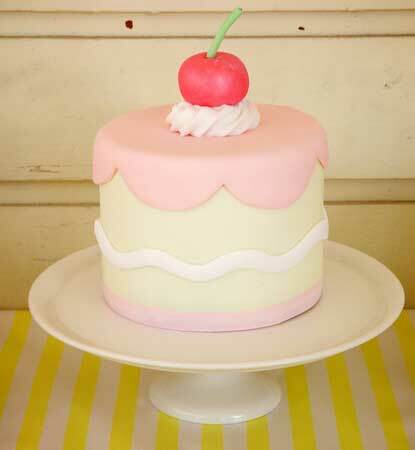 There are two very talented ladies behind Scissors Paper Cake who work together to custom design the perfect party. Firstly, let me introduce to you Naomi from Hello Naomi who does all the cakes, cookies, cupcakes and food, and these images speak for themselves. 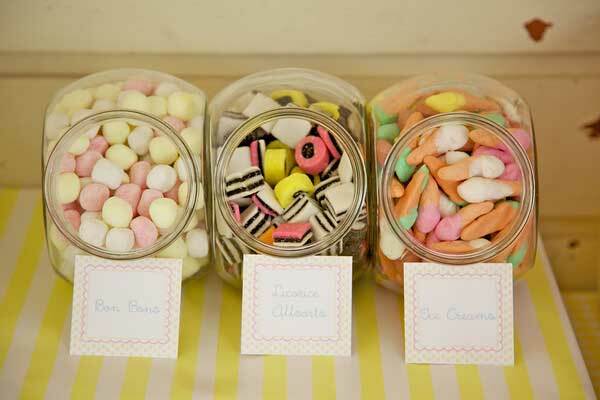 If you want to lose hours of your life staring at gorgeous party themes, check out Naomi’s blog. This brings me to Nathalie who owns Imprintables, mentioned here many times over the years as I have always been a huge fun. 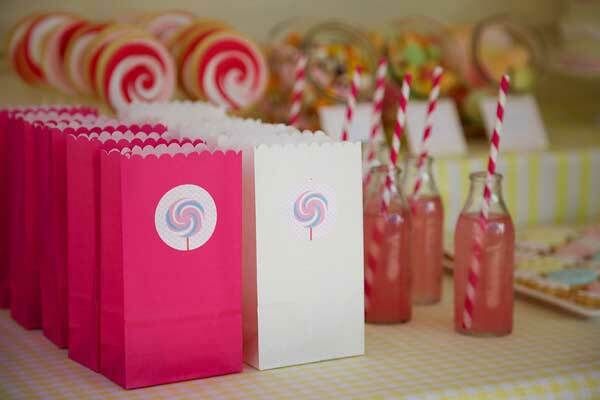 Imprintables organises invitations, decorations, party products, take home bags, thank you tags and much more. 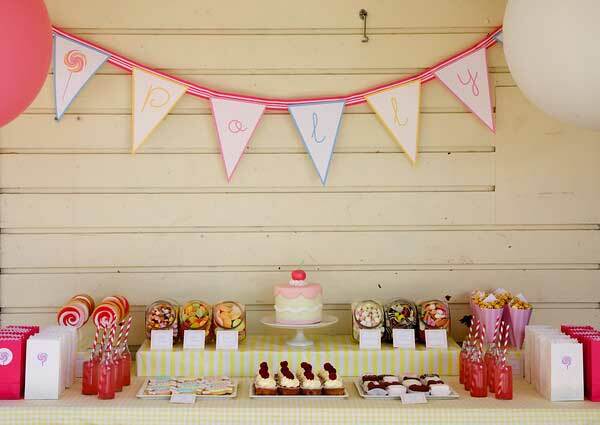 For inspirational images and ideas for your children’s parties, have a look at the Imprintables blog.